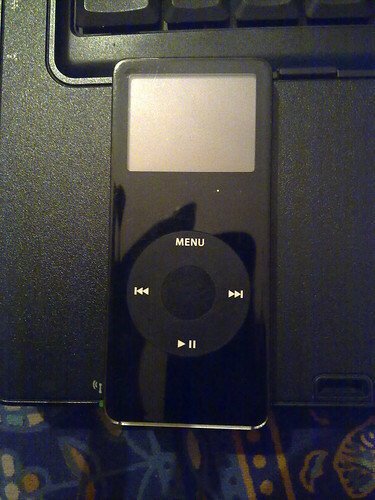 The ipod that lived, originally uploaded by amulya. so after my horribly incomplete trip, and thinking that I even lost my ipod on the trip, I finally found it. Unfortunately it was in the sweatshirt which had gone through two heavy cycles in the washing machine. And with much trepidation I switched it on... it didn't work. well, naturally.... as a friend mentioned, the last gadget that worked in water was the nokia 3310. big fat phone. take it out, blow dry it and voila! So here's one for Apple and Steve Jobs. Great job guys! Lenscaped by Amulya is licensed under a Creative Commons Attribution-NonCommercial-NoDerivs 3.0 Unported License. Permissions beyond the scope of this license may be available at www.thewornboots.com. Amulya Nagaraj. Awesome Inc. theme. Powered by Blogger.